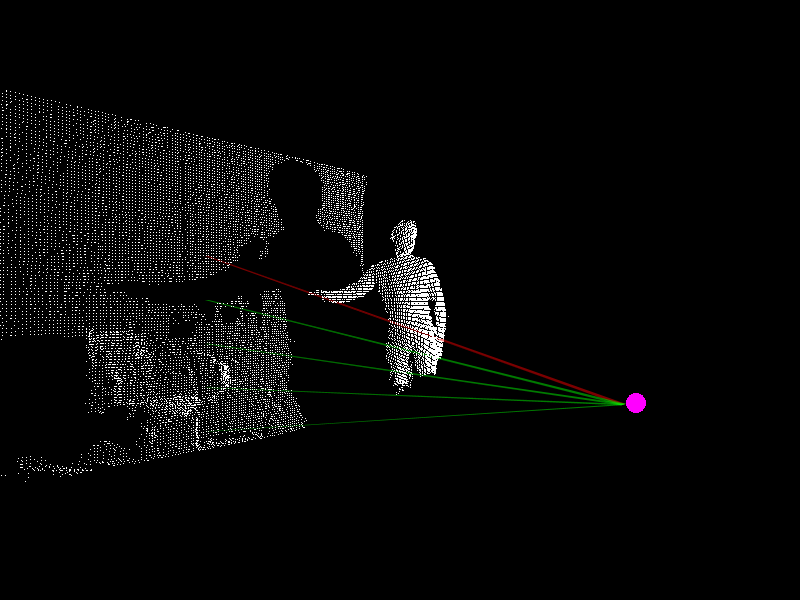 The software used to control the laser was created using OpenFrameworks and C++ by Jayson Haebich and uses an Xbox kinect to do 3d tracking. 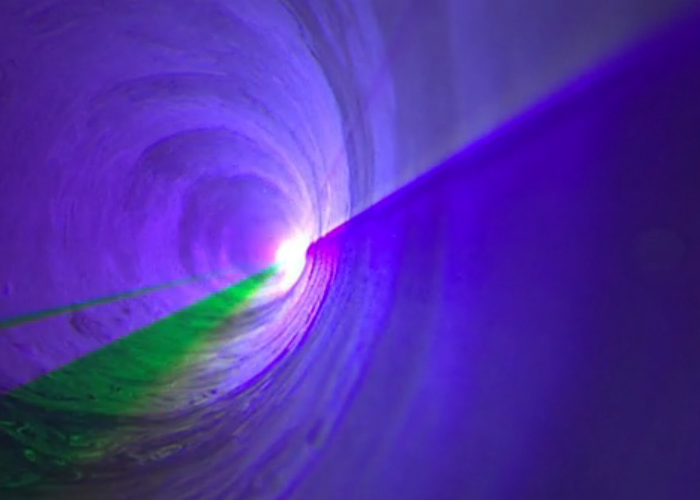 The software creates the lasers beams by sending vectors to the laser via a DAC. 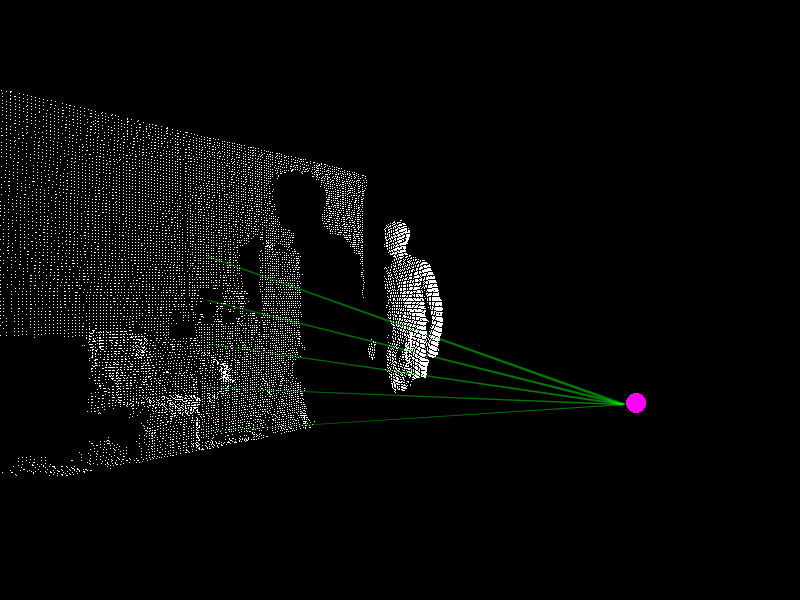 The lasers position is then calibrated to the 3-Dimensional field of data viewed from the kinect, which is used to detect when intersections between users and the laser beams occur. 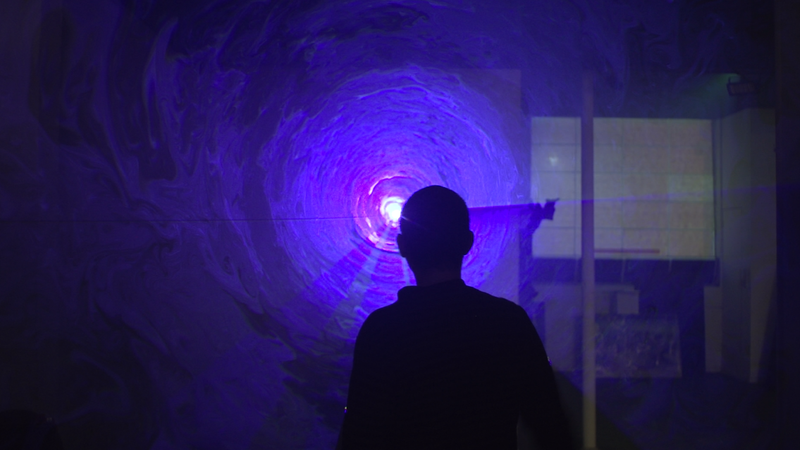 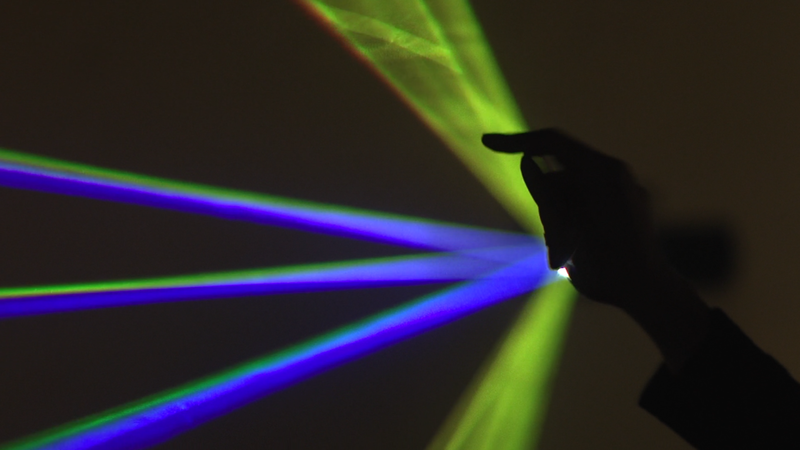 These interactions then trigger effects such as colour changes or causing the beams to move which gives users the feeling of being able to touch the laser beams. 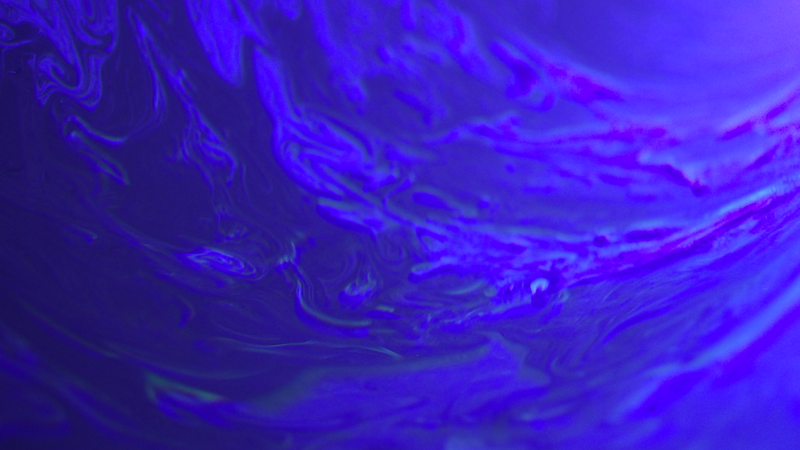 Video filmed by Carlo Zeccola and Kit Webster.